DES MOINES - The 'Reign of Terror' continued on RAW on Monday, as Cody Rhodes was fired after losing to the WWE Champion Randy Orton, along with the Big Show selling out. The show started off with Triple H in the ring, and once again the Shield of Justice - Dean Ambrose, Seth Rollins & Roman Reigns were on hand at ringside serving as security. HHH introduced the WWE Champion Randy Orton out to the ring, where both had some stern words for the former Champion Bryan, garnering much heat from the Des Moines crowd. As The Cerebral Assassin babbled on, he claimed that Daniel Bryan was the modern Doink The Clown of the WWE among claiming that "Daniel Bryan will never be WWE Champion" Shortly after, D Bryan's music played, and out he came. Bryan began cracking insults back at the two in the ring, saying "the only clowns he sees, are the ones in the ring" and calling them "sellouts". "Should I give up my WWE Championship Match at Randy Orton at Night of Champions?" Triple H answered back, telling Bryan that he should not be angry with him and Orton, but instead with a 7ft, 500lb beast - The Big Show, who, apparently, still has an iron clad contract yet did not help Bryan during his beatdowns by the Shield and Orton in the recent weeks. With pretty much everyone knowing where The Game was leading to, he announced that Daniel Bryan would be facing The Big Show on RAW in the Main Event. Fandango vs. The Miz, the feud that not many care about, was the next match on the card. It was a pretty standard match with it going back and forth but there was nothing close to spectacular or anything to really gauge the interest of the WWE Universe. The Miz locked in the figure-four leglock, after about 4 seconds Fandango tapped, and that was that. Apparently Fandango apparently broke his nose during the bout. Major props to Fandango and the WWE for continuing the bout. But seriously, WWE needs get more creative with these mid-card matches and feuds, seriously. Backstage, Booker T wanted to talk to Daniel Bryan. Booker said Bryan was "too good to go back to local gyms and wrestle for 50 bucks." and that he "needs to rethink about going against the McMahons". The former SmackDown! GM advised Bryan to give up the WWE Championship match. Bryan then responded yelling “Tell me you didn’t just say that!”, a quote that Booker is know for. The segment ended by Booker cautiously advising Bryan to think about it, and assured him that he was on his side. It was a good way to get over the seriousness of the situation. After making his way to the ring and waiting for his opponent, Ziggler was ambushed from behind by Dean Ambrose. Ambrose continued to beatdown Dolph, driving him shoulder-first into the ring post, until Ryback's made his way out (to an ocean of "GOLDBERG!" chants) for his match vs. Dolph. Ryback continued the assault on Ziggler as the crowd started a “You can’t wrestle” chant. Ziggler suddenly dropped Ryback with a dropkick as a counter to the meathook clothesline. Ryback came back (no pun) and this time was successful with the meathook clothesline, followed by the ShellShock to pick up the victory. Yet another angle driven match to put over The McMahon's and the Shield's "reign of terror" over the WWE. Both superstars have nosedived from Main Event status to well, that... shame. Backstage, RAW GM Brad Maddox informs Triple H and Stephanie that Big Show had refused to face Bryan tonight. Stephanie says she will handle it and at the top of the hour, heads to the ring, where she calls out the Big Show. Stephanie acknowledges that Big Show is broke due to not-so-smart investments and that he is in breach of his iron clad contract if he doesn't perform. Stephanie continued, saying that there is not many place for giants outside the WWE, and also that giants don't live as long as (normal) people. Big Show seems to have another breakdown, reminiscent of last year's saga with Johnny Laurinaitis. But it does however once again show how powerful the "reign of terror" is, a good way to get it over. After that, a video played announcing that EDGE WILL RETURN TO RAW NEXT MONDAY FOR ONE WEEK ONLY! A nice tag team match was next up on RAW. Slater talked some trash before the match to Titus, firing up the big man. Titus stomped through Slater and tagged in Darren Young, Slater came back and Slater and Mahal took turns beating down Darren Young, until he got the hot tag on Titus, which inevitably led to the pinfall after Titus slammed Mahal. PTP continue rolling, it's possible we may see them in the tag team championship picture very soon. A regular tag-team match, Titus looked impressive nonetheless. Heyman confronted Maddox backstage, and asked him to end his phone-call. Heyman told Maddox that if Punk had have got his hands on Heyman, then Heyman wouldn't be seen on RAW again. Paul then said that Maddox doesn't "know what's best for business", which brough in Triple H, who said he was impressed with how Heyman has "weasled" his way out of danger in the past. Curtis Axel & Paul Heyman vs. CM Punk was announced for Night of Champions, much to the disarray of Heyman. Is this it for Cody Rhodes? That was the question going into the match, that put Cody's career on-the-line. The he two former members of Legacy, Cody and Orton traded blows to start the bout with Orton getting the upper hand, however Cody came back with a picture-perfect dropkick for a near fall. Orton once again gained the upper hand, clubbing Cody’s chest and dropped him with a back breaker from the top rope leading to a commercial. After the break and Randy took control of the match, as the WWE performers were shown watching on backstage. Cody began to make a comeback and loud “Randy Savage” chant broke out from Des Moines, as Cody made a come back. Cody was so close to winning, getting a two-count thanks to a beautiful spring missile dropkick. Randy hit the DDT from the second rope, and went for the RKO, but Cody countered and hit Randy with the disaster kick which evented in a near-fall, which so many thought that was it. Cody missed a Disaster kick, and Orton delivered an RKO to pick up the victory after 13 minutes. HHH comes out and tells everyone to give it up for Cody Rhodes. Hunter says that Cody went all in and fought like his life was on the line. He fought with heart. Hunter tells Cody from the bottom of his heart how much he respects Cody. This is a business and in business, he needs winners so he cannot let personal feelings cloud his judgement. The Game eventually informs Cody that it is with deep regret that he has to tell Cody that he is fired. The crowd go quiet for a moment as Cody looks lost in the middle of the ring, and then start chanting "Thank You Cody!" as he left the ring. An excellent match that was not only technically sound, but really got the crowd engaged due to the storyline factor of Cody being fired and questions about his future. This kept everyone interested to see the outcome. There are many questions coming from this match: Is Cody really done? What happens with the Sandow feud? Is Cody actually leaving the WWE? We'll have to wait and see. Top of the third hour, Punk made his way out with a kendo stick in his hand to extremely loud “CM Punk” chant by the Iowa crowd. Punk said he kept his promises, but that the time for talk is over. Punk asked the fans if they saw what happened to him last Monday. Punk wants to talk to everyone in the building and his friends and family in Chicago. Everyone who bought his T-Shirt or made a sign to support him. CM Punk said he wanted to fight Paul Heyman, and Punk said he will get his hands on Heyman and Axel in 13 days at the PPV. He also said even he wouldn’t fight himself right now because of the state of mind he is in. Punk wanted to say something to all the fans around the globe, but was cut off by the loud “CM Punk” chants. He said the fans will see a side of Punk they had never seen before. 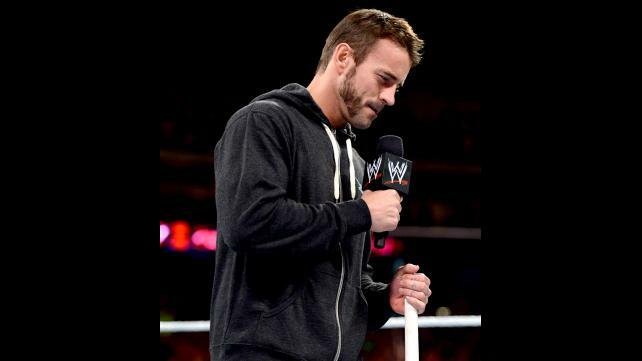 He said the fans might not like that side of Punk, and said Heyman certainly won’t. He said last week, Heyman told Punk he broke his heart, but at Night of Champions, Punk said he’ll break Heyman’s face. And then said "I Promise". An outstanding and intense promo by CM Punk, with fantastic mic skills as usual, further adding fuel to the fire of the rivalry between himself and Paul Heyman. 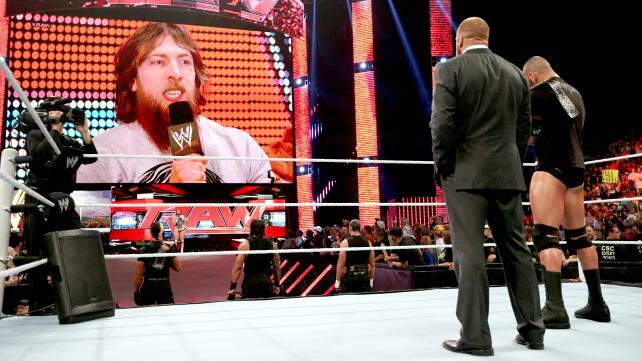 Backstage, Big Show confronted Bryan and said he had no other option. Bryan said he will take care of Show tonight, like he defeated him to win his first World title. Before the match there was the video replay of AJ's comments about the other divas from last week. AJ Lee was on commentary at ringside with Cole, JBL & Lawler and said that she believes that the other divas are interested in going into movies and the celebrity spotlight, but she only cares about wrestling, and the Divas Championship. Natalya dominated the match, and then AJ Lee got so boiled over at ringside that she interfered in the match causing a No Contest, she attacked the competitors but they outnumbered her and beat her down, leaving her lying in the ring. A very short match, AJ on commentary was a nice touch as it helped to add to the storyline. Ricardo is introduced, and then introduces 'One of a Kind', Rob van Dam to the ring, to take on the intellectual saviour of the masses and Mr. Money in the Bank, Damien Sandow. RVD and Sandow exchanged blows to start things off, and Sandow got a near fall. RVD tried to build some momentum but Sandow consistently cut him off. RVD eventually control of the match, but was distracted by Alberto Del Rio on the stage as WWE went into commercial break. Back from the break, and Sandow was in control. RVD hit a heel kick but was quickly halted, as Sandow dropped Rob with a side Russian leg sweep and the Elbow of Disdain for a near count. Sandow then delivered a beautiful swinging neckbreaker for another 2 count. RVD hit a superkick followed by the rolling thunder, followed by the 5-star frogsplash. RVD had to be featured on the show as he’s the number one contender to the world title, and he picks up yet another victory to continue building momentum on his way to Night of Champions. Will RVD win the World title? Ricardo’s presence might swing things in RVD’s favour come 15th September. Stay tuned. Stephanie makes a fatal four way at the Night of Champions PPV between Naomi, Natalya, Brie and AJ for the WWE Divas championship. Backstage, Josh interviews Cody Rhodes while he is being escorted out of the building. Cody says that the McMahons hated the Rhodes, with Vince putting his legendary father in Polka Dots and dance, while his brother was painted with gold. Cody said Orton was the better man on the night. The WWE superstars were once again made to watch near the entrance area. Bryan made his entrance first to loud “YES!” chants, and Big Show made his way out next. Big Show tried to explain that he didn’t want to hurt Bryan and requested Bryan to leave the ring, but Daniel kept attacking Show. Show came back with a big boot and huge chops. Show tried to calm Bryan down, but Bryan kept attacking Show. Bryan delivered brutal kicks to Show’s torso and dropped him with a DDT for a near fall. Bryan went for a cross body, but Show dropped him with a spear. Big Show tried to leave, but that brought out Triple H and The Shield. Show told Triple H that he wouldn’t fight Bryan, which led to The Shield attacking Bryan to cause the DQ. Show was made to stand and watch as The Shield delivered the triple powerbomb to Bryan. The Game, Triple H, then wanted Show to punch Bryan, but Show refused and walked away. Stephanie then came out and led Show back into the ring. Show was then forced to knock Bryan out with the punch, and was escorted to the top of the ramp by Stephanie and Triple H.
Orton made his way down to the ring and ended the night by standing over a lifeless Bryan, as Show looked on from the ramp. A kind of messy segment, but the message was put across and further solidified the authority and pure power that the corporation have on the WWE Universe. A lacklustre edition of RAW. Not much wrestling involved as 3 matches had no ending. There were some gems such as the Cody Rhodes storyline and the CM Punk-Heyman rivalry was intense, but overall it was pretty much the same as last week regarding the corporation and the authority of the McMahons, The Shield & Randy Orton. Coverage, review and media for WWE RAW LIVE from Des Moines, Iowa on 2 September 2013. Part of TheSportMatrix.com's wrestling coverage.